The innovative Stabilizer landfill gas (LFG) well cap, from Q.E.D. Environmental Systems, features a unique, patented support ring molded directly into the cap that aligns and stabilizes the LFG wellhead and reduces leaks. The Stabilizer LFG well cap’s durable, heavy-walled polyethylene construction makes it ideal for any climate. The Stabilizer is the first engineered gas well cap that allows liquid level readings without removing the wellhead. Easy access for liquid level reading is faster, safer, and results in less system disruption. There is no air introduction or gas release, no need to shut down the well for level measurements, and no need to rebalance the well field afterwards. The cap’s innovative support ring design takes pressure off the flexible coupling and the flex hose and, along with watertight threads, reduces the potential for leaks at the wellhead. 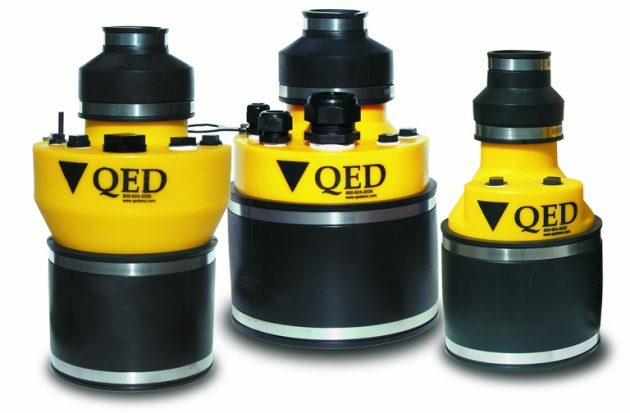 The caps are molded in QED’s distinctive yellow that is designed to help identify and protect the entire well from damage and ensures users are receiving genuine QED well caps. The Stabilizer LFG well caps are designed to work with 6-inch and 8-inch diameter wells with 2-inch or 3-inch gas wellheads. An economy model is available for 6-inch gas-only wells. All well caps feature direct access ports compatible with several existing landfill products, including the QED Easy Level for monitoring and measuring liquid levels and a portable water level meter that provides light and sound indication when a probe touches water. Available pump fitting kits allow conversion of gas recovery caps to dual extraction wells.